Garden City, New York, USA. March 9, 2019. 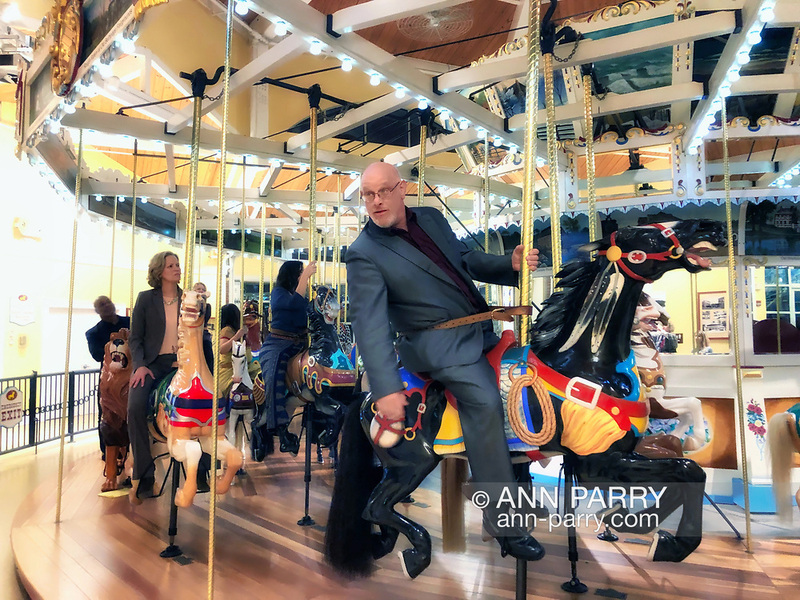 At right, GARY FARKASH, Baldwin Historical Society President rides Nunley's Carousel with Baldwin organization members and local elected officials during Unveiling Ceremony for artist Michael White mural of closeup of historic Nunley's Carousel lead horse. Event was held in Nunley's Carousel Pavilion on Museum Row on Long Island.